With most of Miami South Beach Hotels and buildings being built between 1923 and 1943 and over 800 structures containing historical importance. This pastel wonderland is the world’s largest concentration of restored architecture. The eye candy does not stop there you also have a mix of Mediterranean revival and Miami Modern meshed in-between the lavish nightlife, world- class restaurants and boutiques. Emerging from the interwar period when industrialism Art Deco was rapid and transformative to the everyday culture. This architectural style was inspired by the applied arts. Its name comes from an International Exposition of Modern Decorative and Industrial Arts - Arts Décoratifs a world fair where applied arts and architecture were brought together. Popularized in the 1920’s in Paris an architectural style know for its bold and precise defined geometrical shapes that are broken up by curved ornamental shapes and colors created what we know to be Art Deco. The goal was to have a formed single large block with decorative motifs. This spread across the world till the 1940’s. Two of the best-known art deco buildings in the United Sates are the Chrysler State Building and the Empire State building in New York. "An assertively modern style [that] ran to symmetry rather than asymmetry, and to the rectilinear rather than the curvilinear; it responded to the demands of the machine and of new material [and] the requirements of mass production". This movement represented exuberance though its rectangles, trapezoids, polygons, spheres and assorted vivid high contrast colors. It's sunburst motifs, use of modern materials and arrangements of its symmetrical patterns transmitted glamour and luxury. 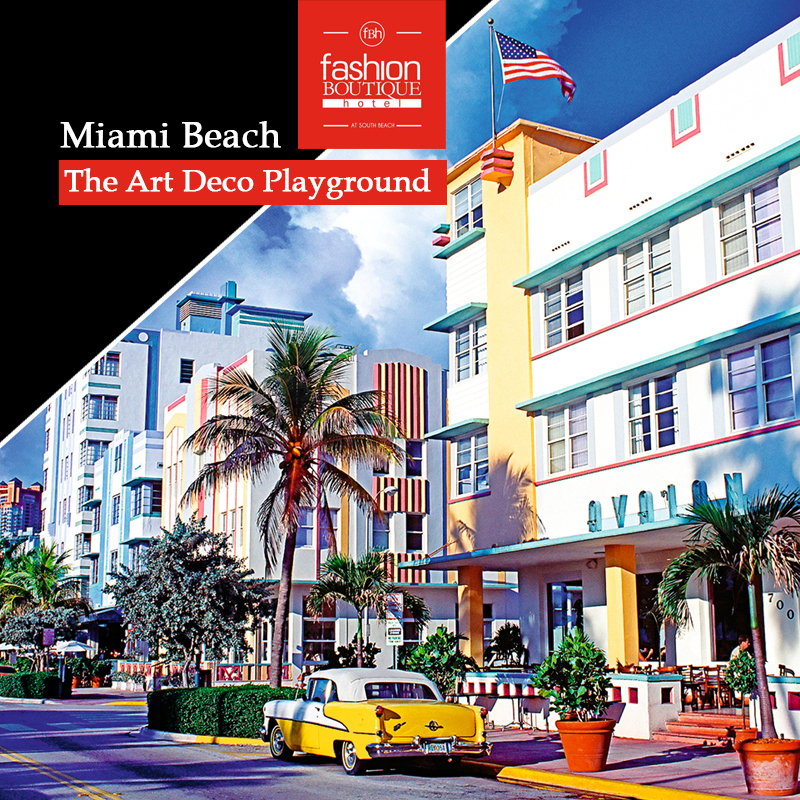 You can book an Art Deco District Walking Tour with the City of Miami Beach. The Miami South Beach walking tour is 90 minutes and will introduce you to not only the art deco styles building but also the Mediterranean revival and the Miami Modern architecture. In addition, you will be able to explore the restaurants and commercial structures.